Add a splash of color to your running wear. 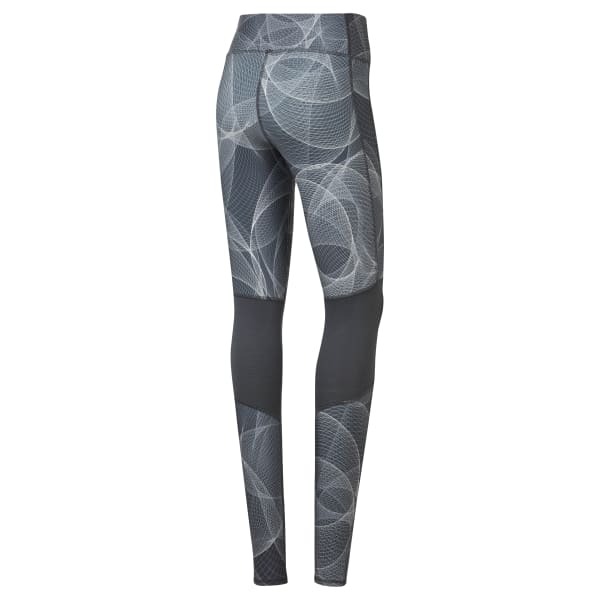 These women's fitted tights feature a print that was designed as a partnership between Reebok and Parisian artist Sebastian Preschoux. Strategically placed mesh panels provide breathability and ventilation, while a small inner pocket is perfect for bringing small essentials along on your run. Reflective details ensure low-light visibility as you rack up nightly miles.